"Statistically, every American can expect to be in a motor vehicle collision once every ten years. Motor vehicle collisions have been the number one cause of death of our children for decades. Since 9/11 (September 11, 2001), about 3,000 Americans have died as a consequence of terrorism; about 360,000 Americans have died in motor vehicle crashes. Since the start of the American Revolution in 1775, about a million Americans have died in our wars. Since Henry Ford introduced the mass-produced motorcar in 1913, more than 2.5 million Americans have met their deaths on the road. And millions of Americans who did not die from motor vehicle collisions were injured." Orthopedist and one of the world's foremost experts on whiplash, Dr. Dan Murphy. There are 3,000,000 new cases of whiplash in the US every year. The word “whiplash” is a layperson’s term ---- and although it is typically associated with Car Crashes, crashes are certainly not the only way to get a whiplash injury. 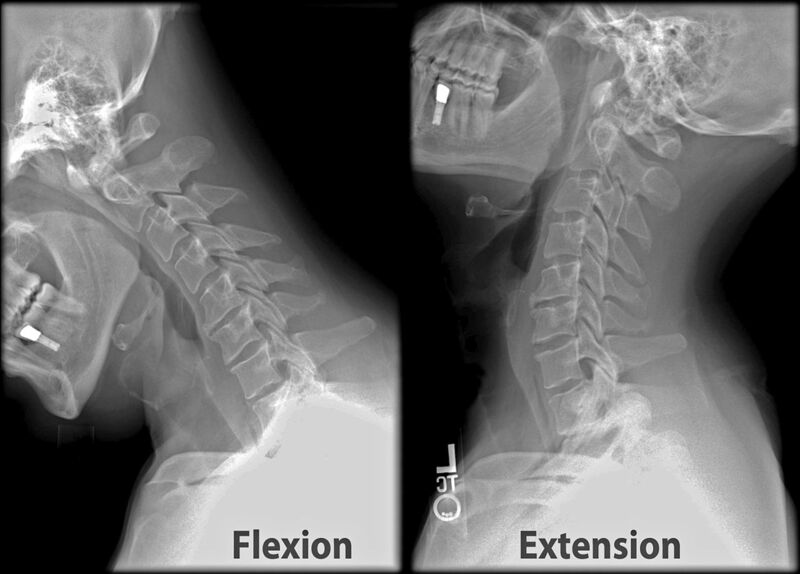 Whiplash Associated Disorders (WAD) are typically referred to in the medico-legal literature as “Acceleration / Deceleration” injuries, or "Hyperflexion / Hyperextension" injuries. And, as many of you have come to understand the hard way, they can be incredibly violent — even in seemingly minor accidents that had surprisingly little vehicular damage. With over three million new cases of Acceleration / Deceleration injuries occurring each year, and over 50% of those progressing to at least some degree of unresolved or “chronic” symptoms, it is clear that Whiplash Associated Disorders are taking a massive toll on our country financially, physically, and emotionally. 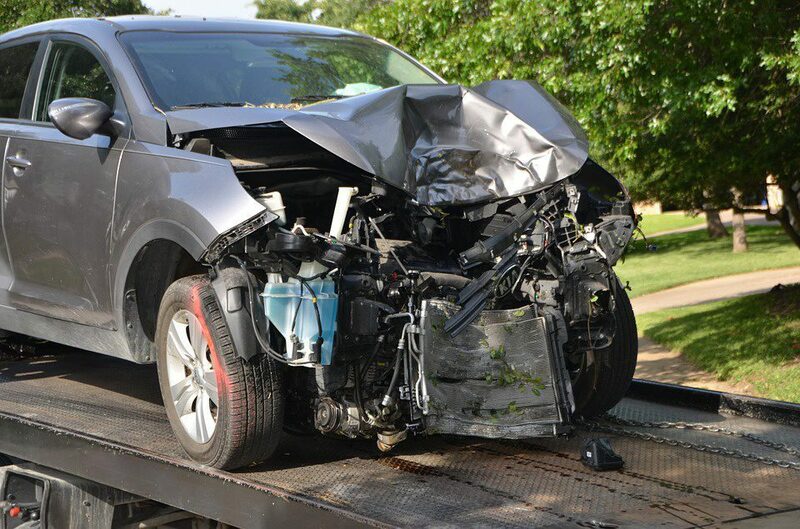 When people think of “whiplash” they tend to think of motor vehicle accidents (MVA’s). Although MVA is probably the single most common cause of the symptoms most frequently associated with and experienced by those suffering with Whiplash Associated Disorders (neck pain, upper back pain, shoulder pain, fuzzy thinking, numbness, tingling and / or weakness of the hands, dizziness, etc), whiplash can occur in about a thousand and one different ways. And while there are certain symptoms that we see over and over and over in our clinic (neck pain and headaches, for instance), whiplash can seemingly cause about a thousand and one different symptoms as well. Some of the most common causes of WAD that I see in my office include sports injuries, work injuries (think logging here), spousal abuse, fights, horse accidents (falls), and almost anything else that has the capacity to “snap” your head suddenly and violently. Although the most common problems associated with Whiplash Associated Disorders are related to the neck (neck pain, numb hands, headaches), scientific research shows that Acceleration / Deceleration injuries routinely cause all sorts of other injuries as well. For instance, I commonly see people whose low back pain started with an MVA. I even see people whose FIBROMYALGIA was brought on by the emotional and physical stress of an MVA! One of the most shocking conclusions concerning Whiplash Associated Disorders, was written by a pair of the most well known whiplash researchers on the planet — medical researchers, not chiropractic researchers. Drs. Gargan & Bannister stated in a study that was done in the 1990′s, that whiplash-like injuries frequently result in a whole host of, “bizarre and seemingly unrelated symptoms“. Although there are plenty of malingerers, fakers, scam artists, money-grubbers, and drug seekers out there; far too many people are lumped into these categories simply because their problems do not show up on traditional medical tests such as MRI / CT. Even though there are literally scores of scientific studies concluding that Whiplash Associated Disorders are difficult (often to the point of being impossible) to image on x-rays, CT's, or MRI’s, these are still the chief method the medical community is using to determine whether or not you were injured, and just how serious this injury might be. The problem is, if the vast majority of soft-tissue injuries (injuries to LIGAMENTS, TENDONS, MUSCLES, FASCIA, etc) do not image well with advanced imaging techniques, and imaging is the medical community’s chief method of diagnosis; unless you have a herniated disc, you will invariably be treated like nothing is really wrong with you — like you are a scam artist trying to extort a huge settlement from an insurance company. Stop and think for a moment about how problematic that fascia, arguably the single most pain-sensitive tissue in your entire body, will not show up on any tests ---- including MRI. When you are taken the the ER, you will have some tests run and the doctor will look at you and say, “Thank God Mrs. Smith. Nothing is broken! Now, go home and rest, and call your family doctor tomorrow. In the mean time, wear this collar, and take these Anti-Inflammatory Medications, pain pills, and muscle relaxers. Oh, and don’t forget to use a heat pack as well.“ Is this good advice? Sure it is — if you own a medical clinic! Follow this advice and you are certain to become a lifetime ARTHRITIC! The truth is, when it comes to the evaluation and treatment of injuries to fascia and other elastic, collagen-based connective tissues, all of our hi-tech equipment with its bells and whistles is simply not helping diagnose or help most injured people. You are reading a page on whiplash ---- my guess is that you completely understand this concept because you have been there, and done that! The Old Model of tissue injury evaluation and treatment went out the door about 25 years ago. It just seems like no one has remembered to tell treating physicians about the NEW MODEL. Your short drive to work was no different than any other day ---- until you began slowing down for the school bus stopping in front of you. Just as you're coming to a complete stop, BAM; your world explodes as someone plows into your car from behind, knocking you into the bus. Turns out the kid driving the full-sized crew cab pickup truck that hit you was texting, and never even hit his brakes. You're having a hard time remembering exactly what happened. You remember a flash of light and your head being slammed backwards over the top of your headrest. You vaguely recall that your head rocketed forward as you hit the bus -- almost hitting the windshield. You step out of your 1997 Toyota Camry to take stock of the situation. There is no blood or guts. In fact, you don't even have a bruise to show for your trouble. But by the time the State Troopers arrive to work the accident, you not only have a neck pain unlike anything you have ever felt before, you have a banging headache as well. You're having trouble putting the pieces in order for them. They ask if you need an ambulance, but you do not want to go to the Emergency Room. But a few weeks later, you're still having trouble with your memory. Work is not going well because on top of the pain and exhaustion (yeah, since the accident you can't sleep either), everything seems fuzzy, foggy, and hazy. Who would have thought that whiplash could cause these sorts of symptoms ----- particularly without any overt / obvious injuries? Because these symptoms are often subtle, not very specific, and do not show up on standard medical tests such as x-rays or MRI's, it’s common for patients with MTBI not to complain about them --- at least initially. For many people it can be embarrassing "complaining" to the chiropractor or doctor about these vague and difficult-to-describe symptoms that have no external findings to relate them to (bruising, abrasions, broken bones, etc). Believe it or not, many patients are relieved to find out that there is a physiological reason that they feel the way they do, and that it is not "all in their head". The good news is that with the correct kind of care, most of the patients who are struggling with these injuries will recover within a year's time. But unfortunately, not all do. It is for this group of people that the term MTBI or "Post Concussive Syndrome" is used. The “old” model of whiplash said that WAD was simply caused by stretched or torn tissue, which was solely the result of the head flying around upon impact. That model simply did not explain the injuries being reported in low-speed collisions (15 mph and under). The most current whiplash models shows that a wave is “shot” through the spine upon impact ---- quite similar to the wave you create to move the garden hose a couple of feet to the left. This wave, which occurs in a fraction of a second, can tear both connective tissue and nerve tissue microscopically. It also momentarily induces a tremendous amount of pressure in the smallest blood vessels (capillaries) which is known as “blood hammer”. Blood Hammer, FASCIAL TEARING, and subsequent Neurological Damage, helps to explain some of these "bizarre and seemingly unrelated symptoms" that are almost epidemic in those who have suffered whiplash injuries due to MVA's. What Can Make Whiplash Injury Worse? In 1687, famed astronomer / mathematician / physicist / philosopher / and theologian, Sir Issac Newton, wrote his still-renowned Philosophiae Naturalis Principia Mathmatica (now referred to as Principia or simply "Principles"), that is still considered to be the greatest scientific textbook in human history. In Principia, Newton laid out his three Laws of Motion. These laws are able to explain whiplash and the subsequent injury that follows better than anything else I have seen thus far. For understanding whiplash injuries and their relationship to vehicle damage, Newton's first law is the most important ---- The Law of Inertia. Channel your 8th grade science class and stay with me here as we take a brief science / physics review. Newton's First Law: Objects at rest remain at rest unless they are acted on by an outside force. Likewise, objects in motion stay in motion unless they are acted on by an outside force. And remember this; Like Dr. Murphy described above, whiplash injuries occur because different parts of your body can and will have different inertias --- sometimes very different inertias. Let's say that you are sitting at a stoplight and minding your own business. You're humming along to Manfred Mann's Blinded by the Light, when all of a sudden ---- BAM! You are slammed from behind and launched across the intersection like you were shot from a cannon! You are not sure what happened, but you feel like you just got knocked into next week. PHYSICS LESSON: When your vehicle was struck from behind, it shot forward. Much of this had to do with the fact that you were driving a 1992 Toyota Corolla, and the kid that hit you (he was texting of course) was headed to the sale barn for his dad, driving a F-350 Supercab, and pulling a stock trailer loaded with eight steers. When he hit you, there was a huge instantaneous change in momentum. In a fraction of a second, your Corolla was accelerated from zero to over 50 mph. Let's look at this event in frame-by-frame fashion. As the Corolla shot forward, so did your torso that was sitting in the seat. Follow me, because here is the precise point where whiplash occurs. As your body was accelerated forward, your head (at least in the initial milliseconds) did not move. The head is much smaller (and lighter) than your torso, and attached by a thin column of muscles, tissues, and tiny vertebrate we call the neck or Cervical Spine. Because of the weight difference between the head and the body, as well as the fact that the connector between them (the neck) is stretchy and relatively thin; the head has a completely different inertia than the body. This was magnified by the fact that the seat back kept your torso from moving very far backwards, but did nothing to stop your neck --- and unfortunately, your head restraint was not adjusted to the proper height. In other words, your body was essentially driven out from under your head; then a fraction of a second later, your head not only caught up with your body, it actually accelerated to a greater velocity than your body, and overshot it as your head slammed forward. Let's review: As the vehicle, the seat, and your body rocketed forward with the explosive energy and momentum shift from the impact, your head remained stationary for a split second. Your body was essentially driven out from under your head, making it appear that your head slammed backwards. As your head's momentum began catch up to that of your body, the tissues in your neck began to stretch and deform. Unfortunately, when the force of the accident is greater than the forces holding your tissues together, these tissues begin to tear ---- at least on a microscopic basis (remember, most of the time this tearing and SCAR TISSUE will not show up on an MRI). The result was a whiplash injury ---- an inertial injury to the SPINAL LIGAMENTS, SPINAL DISCS, FASCIA, TENDONS, and other soft tissues of the neck and upper back. In fact, there are studies showing that even though they are too small to be effectively imaged with current MRI technology, there are often (usually) microscopic fractures of the FACET JOINTS present with intense whiplash injuries. Frequently, there is also sub-clinical brain injury as well. Interestingly enough, one of the things that make muscles contract with greater intensity is to maximally stretch them (think of the windup and cocked arm of a baseball pitcher here). When the neck is stretched to such a great degree, it's muscles contract to an equally intense degree. When coupled with the acceleration and subsequent deceleration of the vehicle, this causes the neck to slam forward causing still more tissue tearing in the neck and upper back. And the most important thing to grasp is that your neck and head never hit anything throughout the entire process. The injury to the neck itself (which happened in a matter of milliseconds) occurred because of a huge momentary shift in momentum, energy, and inertia between your body and your head ---- just like what you see in Shaken Baby Syndrome. Although you are slightly dazed, you get out of your Corolla and begin to appraise the situation. You look at your limbs. They look intact. You can move. You are breathing. There's no blood. Nothing looks bruised or feels broken. In fact, you do not have as much as a scratch on you. You do not want to go to the Emergency Room, but the State Trooper working the accident talks you in to it. You have several spinal x-rays and a CT of your neck. Everything is negative. The ER doctor comes in, pokes you, prods you a couple times, and has you move a bit. He then delivers a short monologue --- one he has delivered hundreds of times previously, "Wow Mr. Jones. Sounds like you were born under a lucky star. Thank God nothing is broken. Neurologically you check out fine. You'll be sore, but just go see your family doctor tomorrow. You'll get some PAIN PILLS, NSAIDS, CORTICOSTEROIDS, and MUSCLE RELAXERS. Don't worry. You'll be just fine." But that's just it. You saw your doctor, and as the weeks go by, you're not fine. Far from it. You are in pain, and it's getting worse. But you have nothing to show for it. Like I said, there were no broken bones and no bruises. Heck, there was not even a cut or scratch. There is nothing that would alert anyone (let alone a doctor who is not up on the most current research) that you are in pain ---- and that it's getting worse. And on top of that, the damage to the rear end of your Corolla looked surprisingly light compared to how hard you were hit and the way that you feel (for Pete's sake, the car is actually drivable). The other fellow's insurance company paid you $2,000 for your Toyota, which was over double the Kelly Blue Book value. They took care of the ambulance ride and Emergency Room visit, and even offered you $1,500 for pain and suffering. You hired an attorney, but he acts like he does not really believe how much you hurt either. What's going on here? If patients will suffer whiplash injuries. How severe those injuries might be. How long it will take to effectively treat / heal the injury --- or whether they will ever really heal at all. Whether or not the injured party will end up with Chronic Pain and / or Arthritis as a direct result of the accident. 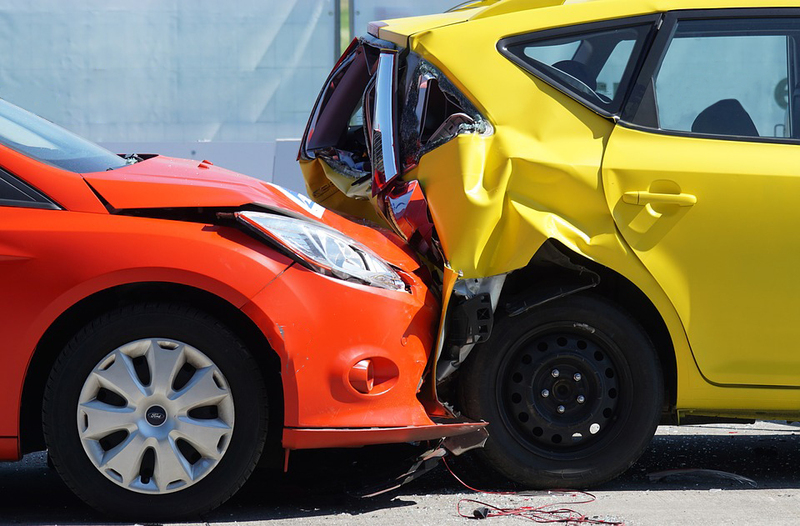 Dozens upon dozens of studies on Motor Vehicle Accidents have shown that vehicles that do not crumple upon impact will be accelerated with a far greater force and momentum. The faster that your vehicle is accelerated upon impact, the greater the inertial stresses to the neck and upper back. 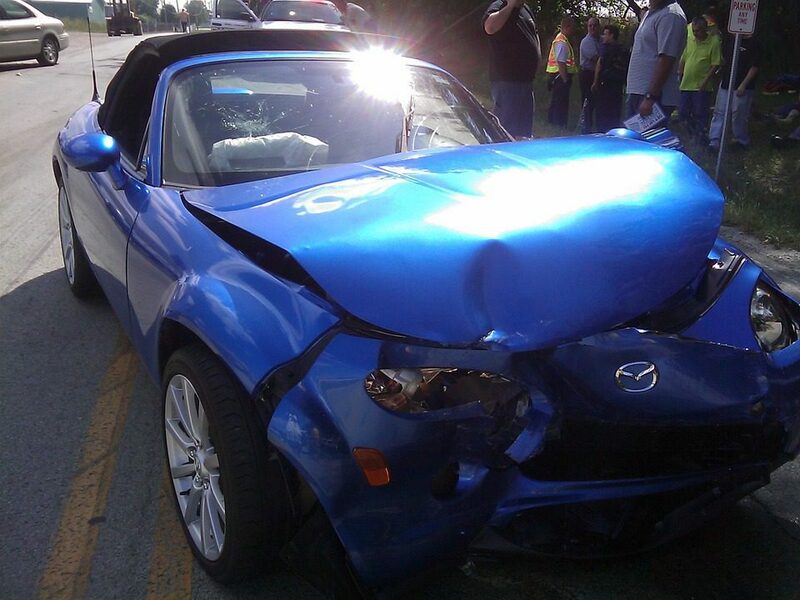 This is why today's vehicles are made with "crumple zones". You are much better off if the force of impact is absorbed by vehicular deformation, than by deformation of your body, particularly the soft tissues and discs of your neck. The larger the inertial stresses to the neck and upper back, the greater the damage to the soft tissues of the cervical spine / neck. So, it stands to reason that harder impacts and greater amounts of vehicle damage lead to greater amounts of bodily injury. Not only is this not true, but most of the medical research on whiplash injuries today is being done on the effects of low speed impacts (those under 15 mph). Here are a few of the Scientific / Medical / Legal profession's journals saying that there is no relationship between the amount of vehicular damage and the amount of injury to the vehicle's occupants. One of the problems, however, with whiplash injuries is that they frequently end up causing DEGENERATIVE ARTHRITIS. This has to do with the fact that these inertial injuries damage tissues in ways that cannot be imaged using even the most advanced technologies. Because most doctors are not up on current whiplash research, and feel you are looking for a big settlement, they frequently treat you like a malingerer (faker). However, these injuries cause the microscopic fibrosis that causes abnormal joint motion over time. This leads to arthritis so frequently, that I can often predict with a great deal of accuracy when a person's injury occurred --- just by looking at a current x-ray of their neck. A great example of Inertia Injuries involves the sport of soccer. Soccer players who regularly "head" soccer balls, speed up degenerative arthritis of the neck by as much as twenty years. European Spine Journal, 2004 This is not new information, however. I wrote a newspaper column on the subject clear back in 1993. We saw that professional soccer players had double the amount of neck arthritis as their non-soccer playing peer group. WAD is difficult to properly diagnose or evaluate using standard medical tests. X-rays do not ever show soft connective tissues, and dozens of studies show that MRIs, contrary to popular belief, do a poor job of imaging injured soft tissues --- ESPECIALLY FASCIA. This is why you might feel like you are “dying”, but all of the tests are negative. People go through this experience over and over. They are then sent home from the E.R. or doctor’s office with pain killers, muscle-relaxers, and anti-inflammation drugs which can actually cause injured tissue to heal approximately 1/3 weaker and less elastic than it otherwise would, and told that in time it will heal. 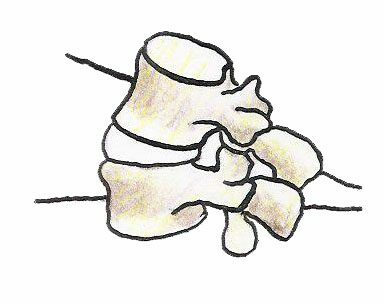 Just like a broken arm that is cocked off at a funny angle but never set or put in a cast; it will heal….. It just won’t heal the right way or with the proper amount of joint function / motion. So just how should a problem like this be addressed? The key to a functional recovery is controlled motion. CHIROPRACTIC ADJUSTMENTS, specific stretches, and strengthening exercises are the number one way to accomplish this! Because FASCIAL ADHESIONS are usually part of the whiplash equation, you will probably need to undergo some form of Tissue Remodeling as well. Restoring movement, function, and strength (both to individual joints or vertebrate, and to the spine or limb as a whole) is the only proven method that is effective in truly reducing the symptoms of whiplash. Contrary to popular belief, using drugs to simply cover symptoms, is never a good option. If the only treatment you receive for your whiplash injury is palliative (meaning covering symptoms with drugs, without addressing the underlying cause of those symptoms), then any relief achieved is temporary, and the end product of this process will likely be dysfunction, degeneration, and chronic pain! I would seriously consider getting a new doctor. As you have already read, whiplash is frequently a "clinical" diagnosis. This simply means that it is not going to show up well on standard imaging tests such as x-rays, CT, and even MRI. If your doctor is not up on the most current whiplash research, you lose --- in more ways than one. Let me show you the results of one study that wanted to determine if the effects of whiplash were real ("organic") or in the patient's head ("psychometric"). By the way, this study comes from a 1997 issue of one of the planet's most prestigious medical journals, The Journal of Orthopedic Medicine. They compared a large control group to a large whiplash group, ten years after the accident. Not only does this give us a long-term look at the effects of whiplash, it also removes the potential effects of litigation on the research as any legal issues would have been long settled. 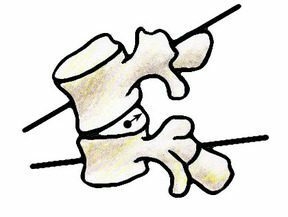 With Hyperflexion, the spine goes forward, which drives the Nucleus of the disc to the back. This is why Herniated Discs are a frequent result of Whiplash Injuries. In Hyperextension, the spine is slammed backward. Although this rarely if ever results in frontal Disc Herniations, it jams the facets (the two little joints to the rear and on either side of the disc). This can lead to a degenerative condition called Facet Syndrome. Notice in this Flexion / Extension X-ray that there is Spinal Degeneration occurring at the level of the C5-C6 Spinal Disc. This means that either this X-ray is being taken years (maybe decades) after an injury, or that this person had pre-existing degeneration (bone spurs, thin discs, and calcium deposits) prior to this latest injury. Either way, the individual being X-rayed had a Flexion / Extension injury of some sort probably 20 years ago or so. How can we predict this. Although there is a certain degree of "guesswork" that goes into knowing this, we know that DEGENERATIVE ARTHRITIS occurs due to loss of joint motion over time, and that whiplash tends to strike worst at C5-C6. : How Long Do They Take To Heal? That the spine and its supporting Connective Tissues can take up to two years to heal is not really new information. It can be found at least as far back as a 1986 issue of the Canadian Family Physician. More recent studies showing these longer healing times include a 1994 issue of the journal Pain, a 1994 issue of the journal Spine, and a 2005 issue of the medical journal Injury. In fact, the 1994 issue of Spine said that appropriately treated whiplash patients took an average time of over seven months to heal. This means that for every person who took 4-6 weeks to heal from their injuries, someone else is taking well over a year. For people injured in Automobile Accidents, falls, Horse Accidents, Motorcycle Crashes, or any number of other ways that people end up with "Whiplash Injuries", this is a commonly-asked question. But it's also a commonly asked question for those whose soft tissue injury was not traumatic, but was due to chronic, repeated, sub-maximal loading. It's more than understandable. No matter how the injury occurred or what it is, everyone wants to know how long it is going to take to get better. Just bear in mind that healing takes time. And although you will often hear "6-8 weeks" bantered around, this is only partially true. If you will notice the chart below, you can see that after about 3-4 weeks, the only thing going on is "Maturation and Remodeling". Do not be fooled! This phase is not only critical, but far too often ignored by those who have a financial interest in your injury. STAGE I (Inflammatory Phase): This phase lasts from 12-72 hours, and is characterized by a release of inflammatory chemicals by injured cells. When cells are injured and die, they rupture and release their contents into the extracellular fluid (WHAT IS INFLAMMATION). These “Inflammatory Chemicals” that are released from ruptured cells are a necessary and vital component of the healing process. However, in excessive amounts, they can cause a great deal of pain. They also promote excessive microscopic scarring. Be aware that if you visit your doctor for a soft tissue injury, you will be given anti-inflammatory medications. These have serious side-effects (heart, liver, kidneys, etc). However, the real kick in the teeth is the fact that this class of drug has been scientifically proven to cause injured connective tissues to heal significantly weaker and with less elasticity than they otherwise would. Nowhere is this more true tha with Corticosteroids. Do a quick search of the Medico-Scientific Literature on Corticosteroids and soft tissue injuries. You will see over and over again that they are detrimental to the healing process and should play no part in the treatment of these injuries (HERE is an example from the field of Sports Injuries). 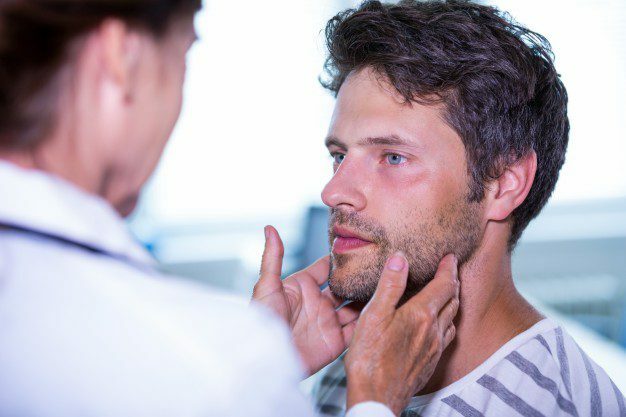 STAGE II (Passive Congestion): In this phase that begins by the 2nd to 4th day, we begin to see swelling (sometimes we do not see it, because it is not on the body’s surface). Remember; “inflammation” is not synonymous with swelling. Inflammatory Chemicals released by dying cells attract the fluid that causes swelling. This is why using cold therapy (ice) to control both inflammation and swelling is such an important part of the healing process — particularly in its earliest stages. However, the best method for moving out this "Congestive Swelling" is via controlled motion if possible. Oh, and your doctor may tell you to use heat during these initial two phases of soft tissue healing; don't do it. Use ICE to control the inflammation! STAGE III (Regeneration & Repair Phase): The Repair Phase is where new collagen fibers are made by fibroblasts. The body then uses these collagen fibers as a sort of soft tissue “patch”. Just like with your old blue jeans, a patch is not ideal. But once those old Levis tear or rip, what else are you going to do? In the body, this collagen patch (scar tissue) tends to be different than the tissue around it in a number of ways. Scar Tissue is weaker, less elastic, MUCH MORE PAIN SENSITIVE, has SEVERELY DIMINISHED PROPRIOCEPTIVE ABILITIES, etc). Be aware that the Repair Phase of tissue healing only lasts about 6 weeks, with the majority being completed in half that time. WARNING: This 3rd stage of healing is where many of the so-called “experts” want you to believe the process of Tissue Healing & Repair ends because this phase ends within a month of injury. But that's not where the story ends. Dr. Dan Murphy uses dozens of studies to, "document that the best management of soft tissue injuries during this phase of healing is early, persistent, controlled mobilization. In contrast, immobilization is harmful, leading to increased risk of slowed healing and chronicity". STAGE IV (Maturation / Remodeling Phase): Not only is it the longest, but the Remodeling Phase is by far the most critical of the four stages of Connective Tissue healing. Yet it is the phase that most often gets overlooked. It is also where people most often get duped (sometimes inadvertently, but more often than not, purposefully) by doctors, insurance companies, and attorneys. Many of you reading this know exactly what I am talking about. The most current research shows that in case of serious Connective Tissue Injury, the Remodeling Phase can last up to two years; making the old “6-8 weeks” sound ridiculous (gulp)! The Remodeling Phase is characterized by a “realignment” (REMODELING) of the individual fibers that make up the injured tissue (the collagen “patch” that we call Scar Tissue). What is interesting is that each study that comes out on this topic, seems to be saying that this phase of healing lasts longer than what the study that came out before it said. This is a good thing. However, bear in mind that if you have not improved within 90 days after injury, standard forms of treatment become much less likely to help you. Phase IV can also be risky because although a person's pain may have dissipated, the injury itself has not completely healed and is vulnerable to re-injury. As Controlled Loading / Tensile Loading is applied to the healing tissues via CHIROPRACTIC ADJUSTMENTS, Scar Tissue Remodeling, STRETCHING and strengthening exercises, Proprioceptive Re-education, Massage Therapy, TRIGGER POINT THERAPY, PNF, etc; the individual tissue fibers move from a more random, tangled, and twisted wad of unorganized collagen fibrils; to a tissue that is much more organized, parallel, and orderly as far as its microscopic configuration is concerned. Again, this takes time! Although our Scar Tissue Remodeling Therapy can frequently bring immediate relief (just look at our VIDEO TESTIMONIALS), it is obvious from the medical literature that there is a healing processes that cannot be bypassed. Because numerous Scientific Studies have proved Cold Laser Therapy to be effective in regenerating Collagen (SEE HERE), we highly recommend it for our more seriously injured patients as well. Everyone has heard the old cliche that is still used by doctors, "You’d have been better off to break the bone than to tear the ligaments". Knowing what we know about the healing of the Collagen-Based, Elastic Connective Tissues; this statement makes a lot of sense! Soft tissues heal much slower than other tissues (including bones). Do not let anyone try and convince you otherwise! This is why following the complete stretching and strengthening protocol that goes hand-in-hand with our “Tissue Remodeling” treatment, is the one and only way that it will work properly over the long haul. By the way, we have dealt extensively with the fact that whiplash injuries heal best with forms of therapy that employ controlled motion such as does chiropractic. Now I want to explore what the scientific literature says about using medications for whiplash injuries explained. Tumor (Swelling) Chemicals we collectively call "Inflammation" are not synonymous with swelling, but they attract swelling. Inflammation causes pain, ill health, and eventually, death. But this list is not the thrust of this section. To understand is the way that inflammation is related to Scar Tissue, Adhesion, and Fibrosis. Born in 1904, Dr. James Cyriax, a Cambridge-educated M.D. widely known as the "The Einstein of Physical Medicine" wrote his Magnum Opus, Orthopaedic Medicine, Diagnosis of Soft Tissue Lesions, in 1982 shortly before he passed away. Cyriax is still considered one of the brilliant pioneers of soft tissue research. One of Dr. Cyriax' groundbreaking discoveries is that Scar Tissue / Fibrosis can and will generate an Inflammatory Response long after the Fourth Stage of Healing (Maturation & Remodeling) is over. Pay attention to what Cyriax wrote over three decades ago. Why would what Cyriax refers to as "normal mechanical stresses" cause an "indefinite period" of inflammation? This one is easy. Scar Tissue and Fibrosis are so dramatically different from normal tissue. One of the most obvious ways that this can be seen is by looking at any good Pathology Textbook. Scar Tissue and Fibrosis is far weaker and much less elastic than normal Connective Tissue. What does this mean? Only that it is easily re-injured. This starts the whole vicious cycle over again. Injury ----> Inflammation ---> Pain ---> Fibrosis & Scar Tissue Formation ---> Re-injury ---> Repeat indefinitely. Just remember that the end result of this cycle is degeneration of the affected bones and spinal discs! Notice how the Connective Tissue on the left is uniformly wavy. This is due to the collagen fibrils that provide stretchiness and elasticity. Now notice how the cells of the Scar Tissue and Fibrosis run and swirl in many different ways. This decreases both elasticity and strength of the Scar Tissue. Repaired soft tissues are weaker than the body's undamaged soft tissues. 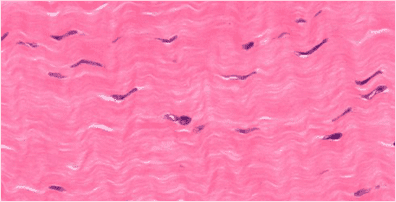 The diameter of the collagen fibers of scar tissue are smaller than those of normal tissue. Also, as you can see from the pictures above, the structure has been physically changed. This weakness leads to a viscous cycle of instability, re-injury, and degeneration. Repaired soft tissues are always less elastic and "stiffer" than the body's undamaged soft tissues. This has to do with the fact that the individual collagen fibers will never identically align themselves quite like the original uninjured soft tissue. This is all easy to see because range of motion testing on injured individuals will always show areas of decreased ranges of motion. Repaired soft tissues have a strong tendency to be more pain-sensitive than their uninjured counterparts. In fact, for reasons that are not completely understood, Scar Tissue has the neurological capability of going into something called "super-sensitivity", and can end up 1,000 times more sensitive to pain than normal tissue. Dr. Soto Omoigui had this to say about the relationship between pain, inflammation, and fibrosis, "The origin of all pain is inflammation and the inflammatory response.... Irrespective of the type of pain, whether it is acute or chronic pain, peripheral or central pain, nociceptive or neuropathic pain, sharp, dull, aching, burning, stabbing, numbing or tingling, the underlying origin is inflammation and the inflammatory response." Fellow pain researcher Doctor Manjo stated in the "Chronic Inflammation" chapter of his 2004 pathology textbook that (slightly paraphrased for patients), "After a day or two of acute inflammation, the connective tissue—in which the inflammatory reaction is unfolding—begins to react, producing more fibroblasts, more capillaries, more cells—more tissue, but it cannot be mistaken for normal connective tissue. Fibrosis means an excess of fibrous connective tissue. It implies an excess of collagen fibers. When fibrosis develops in the course of inflammation it may contribute to the healing process. By contrast, an excessive or inappropriate stimulus can produce severe fibrosis and impair function. Why does fibrosis develop? In most cases the beginning clearly involves chronic inflammation. Fibrosis is largely secondary to inflammation." So, what is a person supposed to do? Despite decades of research saying that NSAID's are not "therapeutic" (actually helps you get better), but are instead, "palliative" (makes you feel better without any therapeutic benefits), the medical community continues to hand these and other dangerous drugs out almost like candy. Just remember that any pain relief achieved without addressing the underlying components of the Whiplash Injury, are temporary. And that's not all. When joints and tissues heal in RESTRICTED FASHION, they always end up with copious amounts of decay, degeneration, and deterioration. And the final kick in the teeth for those of you who have been on this MEDICAL MERRY-GO-ROUND is that much of this research is at least two decades old. As I have said for a very long time, much of the medical community is caught in a time warp. They are treating whiplash injuries using outdated models, often times very outdated models. Despite the fact that you can see from the current scientific literature how successful chiropractic care is at helping people with severe, debilitating, whiplash injuries; not everyone injured in an MVA will recover. Unfortunately, many will never recover ---- even after several decades. It seems that whiplash caused by Motor Vehicle Accidents is the portal whereby numerous people enter into the realm of Chronic Pain and dysfunction. The truth is that there is a great deal of scientific research done of this particular topic. And furthermore, as you can see from the small comments in red made by the authors of each individual study, litigation seems to have little or no effect on clinical outcomes. The Journal of Bone and Joint Surgery published research in 1964 showing that of 145 patients involved in a study of whiplash injuries; as many as 83% of the injured patients continued to suffer from pain two years after the accident. The study's authors said this, "If the symptoms resulting from an extension-acceleration injury of the neck are purely the result of litigation neurosis, it is difficult to explain why [at least] 45%of the patients should still have symptoms two years or more after settlement of their court action." A 1989 issue of Neuro-Orthopedics published a study was carried out on patients suffering with whiplash for well over a decade. Despite the length of time involved, nearly two thirds still struggled with moderate to severe pain symptoms due to their accident. The study's authors said this, "If symptoms were largely due to impending litigation it might be expected that symptoms would improve after settlement of the claim. Our results would seem to discount this theory, with the long-term outcome seeming to be determined before the settlement of compensation." A 7-year study on whiplash-injured patients published in a 2000 issue of the Journal of Clinical Epidemiology showed that 40% of those suffering an accident-induced whiplash injury continued to suffer from neck and shoulder pain seven years post-accident. A 2005 research project published in the medical journal Injury, showed that over 20% of those injured in a whiplash injury struggled with Chronic Pain nearly 8 years post-injury. Furthermore, almost half of those in the study suffered from "Nuisance Pain" during the same time frame. An 11 year study published in a 1990 issue of the British Journal of Bone and Joint Surgery showed 40% of the whiplash patients struggling with Chronic Pain over a decade after the fact. 40% of the remainder of the study's people dealt with "Nuisance Pain" during the same period. The study's authors said this, "The fact that symptoms do not resolve even after a mean 10 years supports the conclusion that litigation does not prolong symptoms." A fifteen and a half year study published in a 1996 issue of the British Journal of Bone and Joint Surgery reported that well over 40% of whiplash-injured patients struggled with Chronic Pain from the accident over a decade and a half after the fact. Almost 30% of the rest dealt with "Nuisance Pain" over the course of the study. The study's authors said this, "Symptoms did not improve after settlement of litigation, which is consistent with previous published studies". The European Spine Journal published a nearly two decade long study on whiplash-injured patients in 2002. Well over half (55%) of those studied had pain seventeen years post-accident. One quarter of these dealt with daily neck pain, and almost one quarter had radiating arm pain on a daily basis. The study's authors said this, "It is not likely that the patients exposed to motor vehicle accidents would over-report or simulate their neck complaint at follow-up 17 years after the accident, as all compensation claims will have been settled." In one of the longest studies done to date on whiplash injured patients, a 2006 issue of the British Journal of Bone and Joint Surgery looked at whiplash-injured patients three decades after their initial injury. 15% of these patients struggled with daily pain severe enough to require treatment. Four out of ten of the remainder dealt with "Nuisance Pain" over the same time frame. After 20 years of practice, I can almost say that I have seen it all. Almost. One thing that I have not seen is an improvement in the way that the financial responsibility for Motor Vehicle Accidents (MVA) is handled by insurance companies. This is a big part of the reason that I do not accept automobile insurance (yours or the other party’s) for the treatment of injuries sustained in MVA’s. Attorneys tend to get involved, and I have found that in most cases, attorneys don't really work for you, they work for themselves. Although, I do not treat huge numbers of MVA cases acutely (they tend to go wherever their attorney sends them usually whoever can run up the highest bills), I treat scores of MVA victims once they have reached the chronic stage. After their attorney reaches a settlement for their injured client, any treatment they were receiving typically ends. As you can tell from both our Patient Testimonial Page, as well as our Blog Post called the WEEKLY TREATMENT DIARY, the treatment frequently ends without ever effectively dealing with the underlying scar tissue and Fibrotic Adhesions that leave so many people in Chronic Pain, long after they have settled their injury claim. These folks enter the miserable world of CHRONIC NECK / BACK PAIN and HEADACHES, and then wonder what the heck they are going to do because their $3,000 settlement check is long gone. The patient is then left with a choice. They can climb back on the Medical Merry-Go-Round and continue to spin in circles. Tests, blood work, MRI’s, CT scans, drugs, drugs, and more drugs; and therapy — more of the same (expensive) stuff you went through before you settled your case, with more of the same crappy results. Or they can do something different. There are several ways to go about preventing or at the very least, lessening the potential effects of a whiplash-like accident / injury. one of the most effective would be driving a vehicle that is highly rated in crash tests. What is the safest vehicle on the road today? Without a doubt, the Volvo and Saab brands have out-performed every other auto maker in the market today as far as safety is concerned. However, there are a number of things you can do to protect yourself besides trading your Chevy in for a Volvo. DRIVE A SAFE VEHICLE: Make sure that the vehicle you drive is highly rated by the organizations that rank automobile safety. This information can be found HERE. DRIVE SAFELY AND DEFENSIVELY: This is common sense. Because I rode a motorcycle for many years, I learned how to drive defensively. I always thought that by paying attention and trying to think one step ahead of everything going on around me, crashes with other vehicles could be avoided. That was until I hit a drunk who ran a stop sign (I was in a full-sized Chevy Silverado). Things happen quickly, that you have no control over. However, driving your automobile in an unsafe manner definitely puts you at a higher risk for suffering a Whiplash Injury. WEAR YOUR SEAT BELTS: The simple truth of the matter is that seat belts will probably not lessen the "Whiplash" component of an Automobile Accident. In fact, by holding your body in place while your head flies around, they can potentially worsen a neck injury to the soft tissues. However, seat belts will help to keep you alive. MAKE SURE YOUR HEAD RESTRAINT IS ADJUSTED PROPERLY: This is by far the most important thing you can do diminish your chances of Whiplash Injury should you end up in an MVA. The truth is, most of us refer to these things that stick out of the top of our seats as "Head Rests" instead of "Head Restraints", and actually have them adjusted improperly (all the way down). The purpose of these devices is not to "rest" your head because you are tired, it is to "restrain" your head from flying backwards during a rear-ender accident. The top of the Head Restraint should be level with the top of your head, and the gap between the two should not be more than about two inches. For the record; if you recline your seat more than 20 degrees, all bets are off. A serious rear-ender will cause you to ramp up in your seat rendering the Head Restraint useless.